When did the “Golden Triangle” of Miyamoto-san, Tezuka-san and Nakago-san first come into being? It was at the time of Super Mario Bros. 17 I mentioned it a little earlier, but I first met Tezuka-san when he was introduced to me as a new member of staff. At that time Tezuka-san was… 17 Super Mario Bros. was a platform game on the Famicom released in Japan in September 1985. …I was working on Devil World. 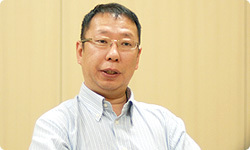 And I was working with Miyamoto-san on Excitebike. So that means that Tezuka-san and Miyamoto-san were working on Devil World at the same time as Miyamoto-san was working with Nakago-san on Excitebike. Those titles were released at more or less the same time. And Excitebike was released in November. As Excitebike was being developed in Tokyo, I went on a lot of business trips there together with Miyamoto-san and we’d often stay over in a hotel. That was right at the start of the economic bubble and there were times when it would be really hard to secure a hotel room. There were even times when we slept in the same bed. That’s how we made Excitebike. Then after that, we began to work on Super Mario and The Legend of Zelda 18 at the same time. 18 The Legend of Zelda was an action-adventure game released on the Nintendo Disk System for the Famicom in Japan in February 1986.
bars of fire in Super Mario, aren’t there? You mean the spinning bars of fire attached to the castle walls that you encounter as you make your way along the corridor to fight Bowser. Right. Those first appeared right in the centre of the screen in Zelda. It must have been Miyamoto-san. Well, I can certainly remember that it was in Zelda. How did Super Mario and Zelda come about in the first place? 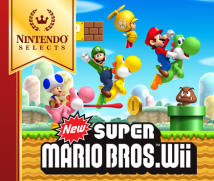 The initial concept behind Super Mario was that we wanted a dynamic, athletic kind of game that would be set on land, sea and air and that would feature a large character. I’ve heard that the original plan was to have a huge Mario. Right, we wanted a Mario that was twice the size of the regular one. But I don’t really recollect whether or not we’d decided to use Mario from the start. At first, you moved a square object about a single non-scrolling screen. Really? So it all started with a square object that you could move around a single screen? That’s right. At the time, having a square that moved was ground-breaking. SRD had experimented with a square object that simply moved in a wave-like manner. And that’s where Super Mario began? Right. That’s why at that time, you couldn’t even jump. And why did that square object become Mario? I more or less remember this one! (laughs) Next door to the development room was the Sales and Marketing Division. The head of that department at the time was a pretty approachable guy, and though it might be hard to imagine it happening nowadays, I got him to show me the sales figures. At that point, you were a new employee who had just joined Nintendo. Right. I was still in my first year at the company. So a new employee just went up to the head of the Sales Division and asked to be shown the sales figures? Well, at lunchtime I’d often wander to various places and chat to people from other departments. So I'd become friendly with people that way. Anyway, I was shown the sales figures and I saw that although Mario Bros. on the Famicom 19 had been released over a year previously, it was still selling consistently well. 19 Mario Bros. was a platform game released in versions for both the arcades and the Famicom in 1983. So you saw those sales figures and a light bulb lit up above your head? 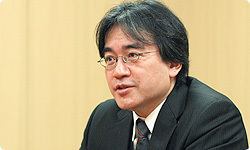 In the last Iwata Asks interview, Miyamoto-san spoke about how he had originally named Mario “Mr. Video” and wanted to use him in every game he made. But at that time, Mario hadn't yet become an established figure and people at the company didn't always have this character at the centre of their thoughts. I think that perhaps he’d already considered the idea of using Mario, but by seeing those sales figures, he must have became a lot more confident that this was the way to proceed. I see. So while that square object was turning into Mario, how did Zelda get started? I don’t really remember when we first began Zelda. (laughs) But I know it started with the dungeons. We’re talking about the Nintendo Vs. System, right? I remember that we started out using the Vs. System. So it wasn’t originally made for the Famicom Disk System20. 20 The Famicom Disk System was a peripheral for the Famicom released only in Japan. It went on sale in February 1986. Right. 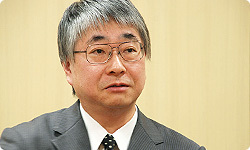 Anyway, as Tezuka-san just said, it began with the creation of the structure of the dungeons. There were about five mountains on the screen and you’d go into the middle of them and there’d be a dungeon. That was all there was to it. So at the start it was a game where you only went around dungeons. That’s right. But part-way into the development process, we thought: "It would be better to have overground sections as well." So we began to make these sections afterwards. At that stage, we were making faster progress in developing Zelda, so we all thought it would come out before Super Mario. Really? So at one point it looked like Zelda might be released first? That's the first time I've heard that!